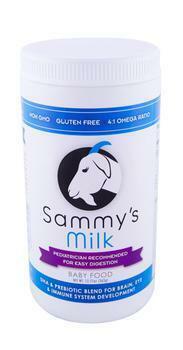 Graceleigh, Inc. d/b/a Sammy’s Milk is recalling all lots of Sammy’s Milk Baby Food. The product may contain Cronobacter, a bacterium that can cause severe and sometimes fatal blood infections or meningitis in infants and may not provide adequate nutritional levels of iron. The recalled product, which comes in a 12.84-oz. white plastic container with expiration dates of 11/2016 – 8/2018, was distributed in California to Mother’s Markets retailers and nationwide by direct delivery from www.SammysMilk.com. Consumers with questions may contact the company at 949-646-4628, or by email at recall@SammysMilk.com between 10am – 5pm (PST) Monday through Friday.